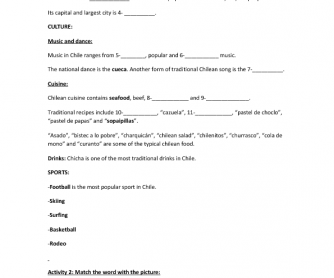 It's a worksheet to work with the culture of Uruguay and Chile. It is useful to make comparisons or give opinions about both countries. It also talks about traditional foods, drinks, sports, music and dance both countries have. 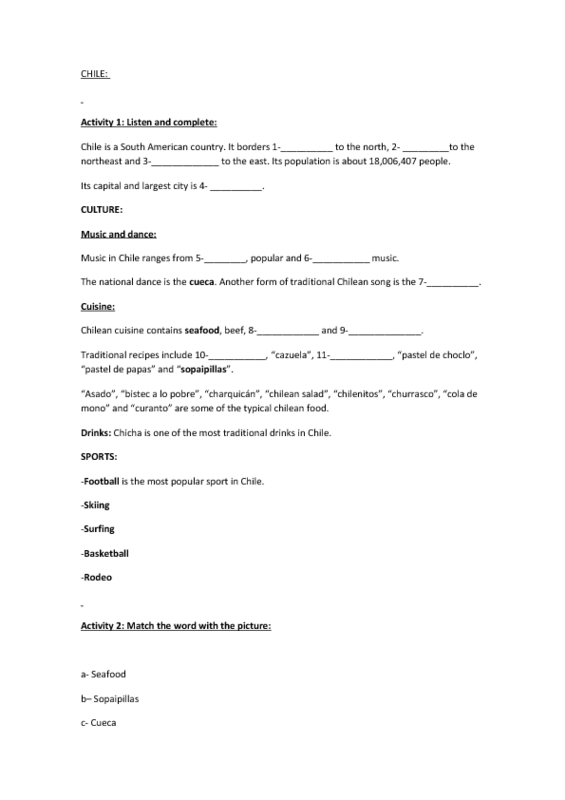 It includes information about the population, countries that border with Chile and Uruguay.